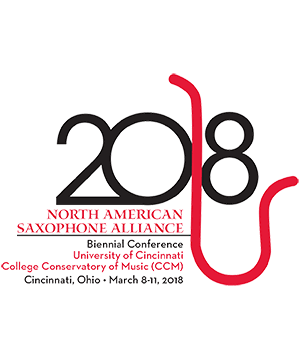 As a concert saxophonist, Michael Shults has been praised for his “jaw-dropping” and “authoritative” perfromances (Bill Brownlee of the Kansas City Star) and has performed by invitation at the College Band Director's National Association conference, the North American Saxophone Alliance biennial conference and the University of Iowa Festival for New Music. He is a founding faculty member of the Kansas City Saxophone Workshop along with Zach Shemon, alto saxophonist of the PRISM Quartet. Dr. Shults has also served on the faculty of the Eugene Rousseau Saxophone Workshop at Shell Lake Arts Center. He is currently the alto saxophone chair in the Coalescent Quartet. Michael is Assistant Professor of Saxophone at the University of Wisconsin-Eau Claire. He is a Yamaha and D’Addario performing artist and performs on their instruments and reeds exclusively. Ensemble Bio: Formed in 2016, the Coalescent Quartet explores the diverse repertoire of the saxophone quartet from traditional to contemporary works. Its members Sumner Truax, Michael Shults, Nick Zoulek, and Drew Whiting bring together years of combined chamber music experience to this newly formed ensemble to present sensitive and exciting performances. In addition to being active performers, the members of the Coalescent Quartet are dedicated educators. Its members have taught at Lawrence Conservatory, Silver Lake College, the University of Wisconsin Eau Claire, the University of Wisconsin Oshkosh, the University of Wisconsin Whitewater, and Owens Community College. With this commitment to education, the quartet has presented masterclasses at Kent State University and the Ohio State University, with performances scheduled across Wisconsin in the 2017-2018 season. Sumner Truax Soprano Saxophone undefined . . .
Michael Shults Alto Saxophone undefined . . .
Nick Zoulek Tenor Saxophone undefined . . .
Drew Whiting Baritone Saxophone undefined . . .